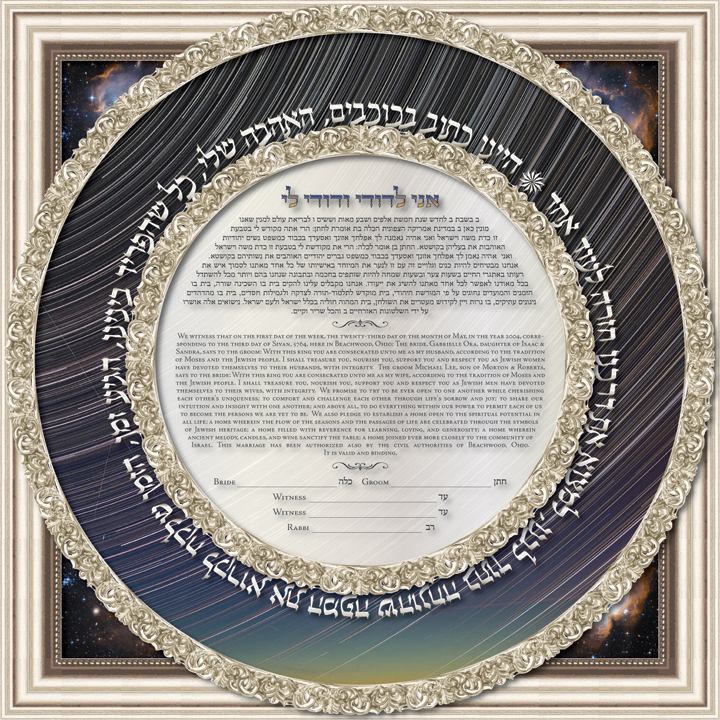 The inspiration for the “Starlight” ketubah comes from the magnificent starry sky above us. 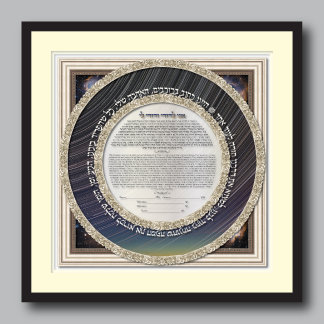 In the background, a silver frame contains glimpses of the mysterious cosmos created by Hashem, our Creator. 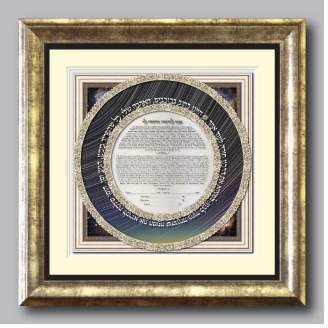 An undulating round silver border surrounds glistening star trails, symbolic of our life's journey and the miracle of finding the life partner destined by Gd. The circular shape represents the neverending circle of time. The quote in Hebrew surrounding the ketubah text translates in English to "We were written in the stars, my love, all that separated us, was time, the time it took to read the map which was placed within our hearts, to find our way back to one another". 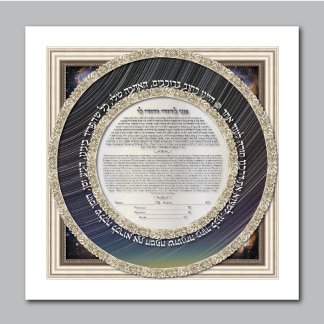 These words, as spoken by the bride and groom, affirm the belief in their spiritual connection with Gd and each other for all the days of their lives.